The biggest new feature in the ASA2 update to version 1.9 is the “Local Images” function. It allows you to cache product images from the Amazon image servers in the local WordPress media library and use the local image URLs to render the product templates for your page. 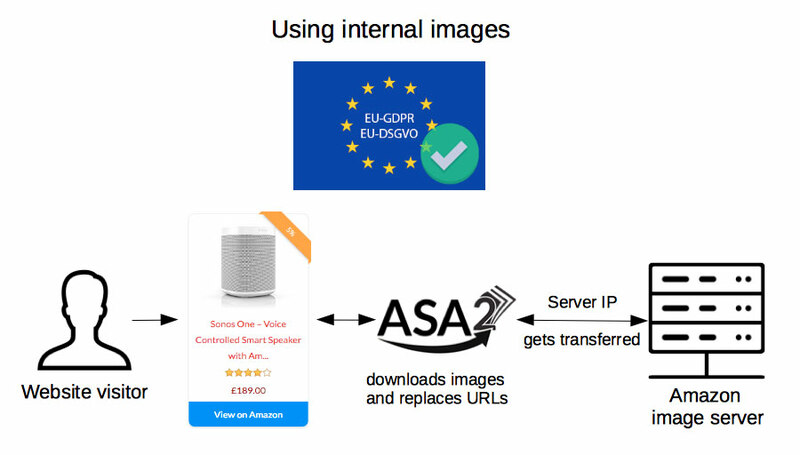 This prevents the IP address of site visitors from being transmitted to Amazon servers, which is relevant for the EU-GDPR (EU-DSGVO in Germany). The new local image feature does not pre-download all images provided by the API, but only those used in templates to not blow up the local data volume. Using the new function for local images is very easy. You only have to activate the corresponding option, which you can find in section “Options / Images”. The next big improvement is the support for AMP. AMP stands for “Accelerated Mobile Pages”. It is an open-source library with the aim to improve the performance of web content. The project is led by Google. 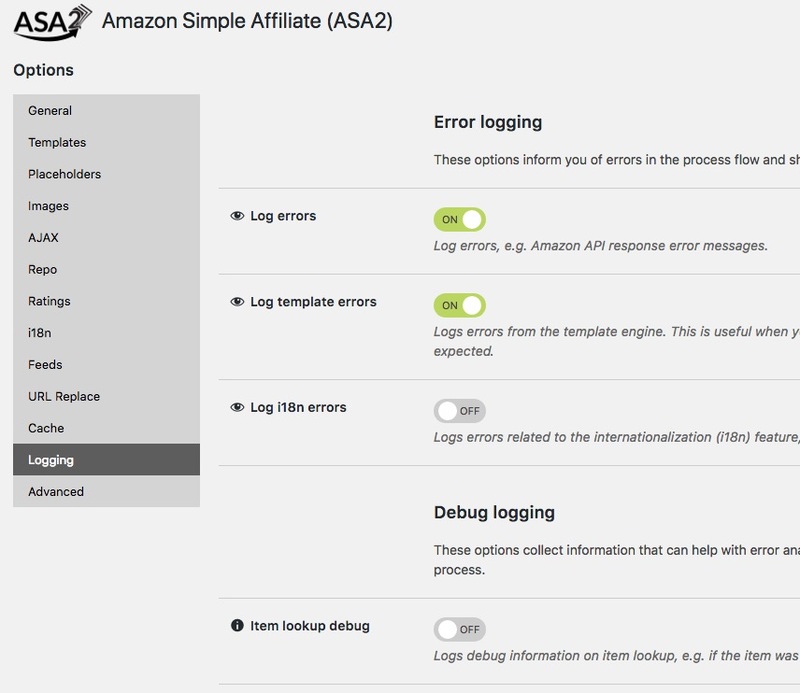 With ASA2 version 1.9, you can adjust your ASA2 templates for the use on AMP pages. You can create customized HTML and CSS contents for this purpose. Check out the new tabs in the template form. 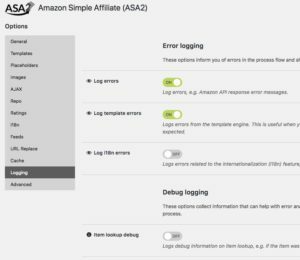 Of course, the managed templates included in ASA2 are already prepared for AMP and will all be updated with version 1.9. Another new feature worth mentioning is the ability to filter byWordPress Custom Fields in the short code “asa2_smart_collection”. The “cf” option allows you to filter the smart collection result by Custom Fields associated with a ASA2 Repo item. This is an example that filters articles that have the Custom Field “color” value “green”. It uses “=” as operator. It is even possible to combine multiple CF filter criteria. They must be separated by “&&”. The following example adds a second criteria that filters for “my_ratings” having a value greater than 3. It uses the operator “gt” which stands for “greater than” (>). Since ASA2 has a lot of options, it was time to redesign the options page. Navigation through the various subareas is now located in a sidebar. Related option sections are now more clearly separated and provided with a little more information. Buttons have been enhanced with confirmation messages so that no action is started by mistake. I hope you will enjoy working with the new options layout as much as I do. In addition to the major innovations, a great deal has also been improved under the hood. So the CSS code of some managed templates was optimized, PHP warnings were fixed, the logging display was extended, the file size of the installation package was reduced and the overall loading speed of ASA2’s admin pages could be accelerated. I hope you like the new update. If you have any suggestions for the further development of the new functions, let me know. 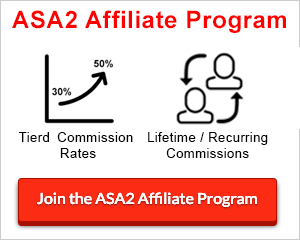 The ongoing development of ASA2 is a continuous process. As far as I am aware, we are not allowed to store images from Amazon locally, unless Amazon has changed their rules to comply to GDPR? I do know that the images can auto-refresh through ASA2, but I don’t know how Amazon looks at this. I have not activated the storing of images locally yet, because there would be too much info stored anyway when it comes to affiliate linking (amazon cookie anyone).